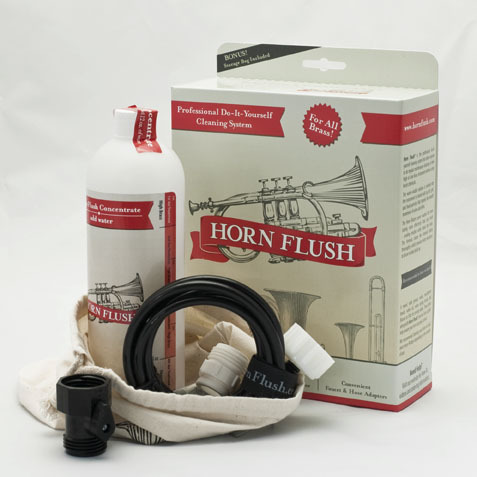 The complete Horn Flush System includes concentrate, Horn Blaster, and storage bag! The 16 oz. 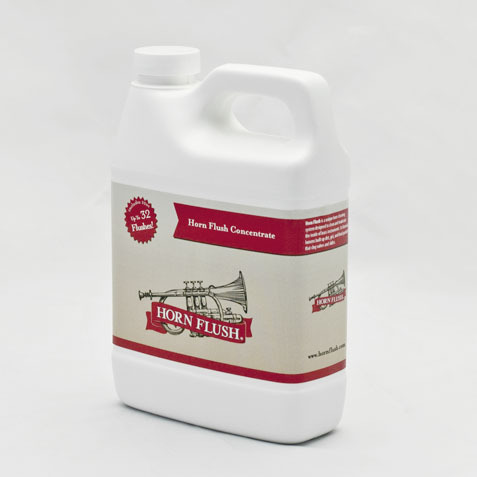 bottle included in the Horn Flush System comes with 4 oz. 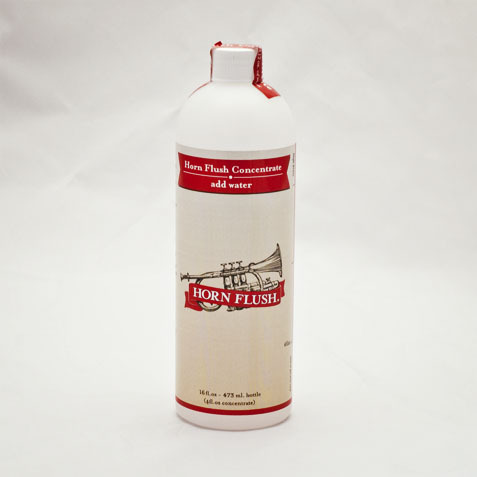 of Horn Flush; enough concentrate for up to 4 flushes! (2 low brass). The environmentally friendly and water-soluble solution is swished into the instrument to loosen built up dirt, grit, and food particles that impede the smooth movement of valves and slides. As a bonus, it leaves your instrument smelling great! 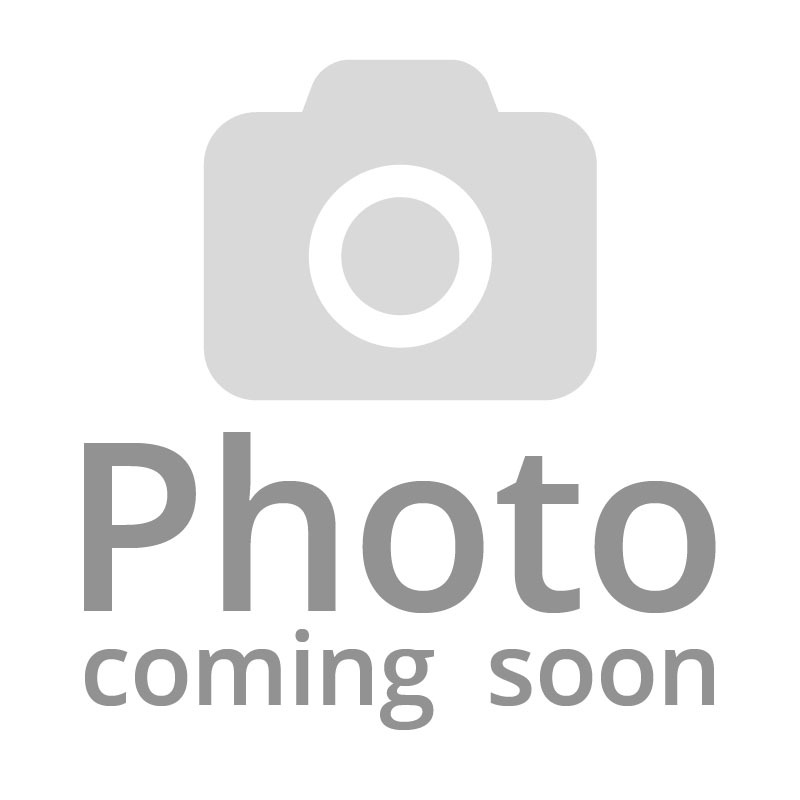 The Jet Blaster can be used to easily discharge and flush out the loosened particles from your instrument. 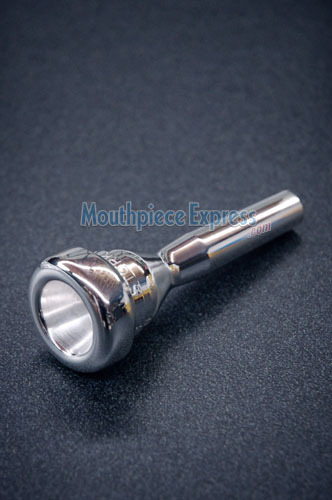 We recommend cleaning your horn at least once every 90 days depending on the amount of use and when the instrument is used.